The prescription medication Ambien is designed to provide a short-term course of treatment to assist patients who suffer from insomnia. However, overuse and misuse of the drug can create addiction and dependency. Additionally, Ambien withdrawal can be difficult even for patients who have followed physician guidelines if their body has developed a dependence that only becomes obvious once their dosage is decreased or rapidly diminished. To guard against potentially severe Ambien withdrawal symptoms, a physician will try to ensure that a course of treatment does not exceed six weeks. This should be a sufficient amount of time for the drug to assist with difficulty sleeping. By not giving patients enough time to develop physical dependence, doctors can help minimize the risk of a difficult Ambien withdrawal. Do not take more of the drug than prescribed in an effort to combat insomnia. By doing so, you are risking addiction and dependency that will result in Ambien withdrawal symptoms if and when you discontinue use. Studies are unclear on how frequently people who follow physician guidelines will nonetheless develop a physical dependence that can result in an Ambien withdrawal. A doctor should explain all these potential risks before prescribing such a course of treatment. Those who abuse the drug for recreational purposes are especially at risk of severe Ambien withdrawal symptoms. Do not take this drug more than recommended, which can result in overdoses that can be potentially fatal. If you have abusing the drug and wish to discontinue use, consult with a doctor to learn what you should expect from an Ambien withdrawal. A physician can help you prepare for this difficult process. 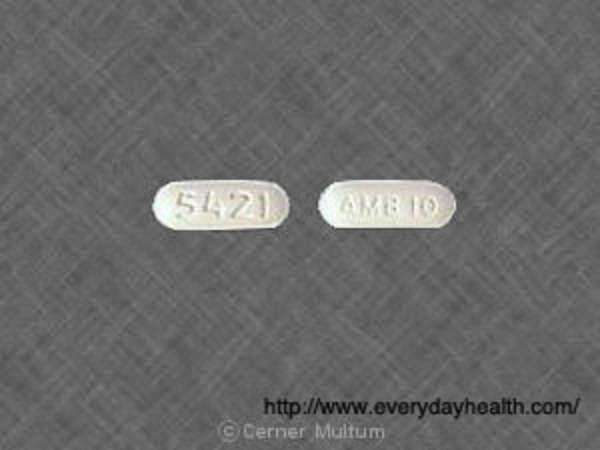 Clinical information on Ambien withdrawal symptoms indicate a wide range of problems that can be experienced. Some side effects of an abrupt Ambien withdrawal are mild, such as headaches. Insomnia may return as part of your Ambien withdrawal symptoms. More serious consequences that can induce serious discomfort during Ambien withdrawal include vomiting, stomach cramps, panic attacks and excessive sweating. Patients who experience these types of extremely uncomfortable Ambien withdrawal symptoms should consult with their physician. It may be necessary to create a new timetable for diminishing your dosage and intake of the drug. Keep in mind that Ambien withdrawal has not been shown to result in death. All information that is provided when you are issued this drug warns extensively about all potential side effects, including Ambien withdrawal symptoms that can ensue when you cease treatment. You are unlikely to experience any problems during Ambien withdrawal that a manufacturer has failed to warn against. If this does occur, you may be able to sue for damages related to insufficient warnings. Patients should report all Ambien withdrawal symptoms to a physician. If it can be demonstrated that a doctor prescribed this medication without appropriately responding to patient concerns, they may be legally responsible for subsequent complications. Consult a lawyer if you feel this is the case rather than attempting self-representation in such a legally complicated matter.